PCM (pulse code modulation) describes a process that's used to convert analog audio signals (represented by waveforms) into digital audio signals (represented by ones and zeros — much like computer data) with no compression. This process allows the recording of a musical performance or a movie soundtrack to fit in a smaller space, virtually and physically. To get a visual idea of the space that analog and digital audio take up, compare the size of a vinyl record (audio) to that of a CD (digital). PCM analog-to-digital audio conversion can be complex, depending on the content being converted, the quality needed or desired, and how the information is stored, transferred, and distributed. In basic terms, a PCM audio file is a digital interpretation of an analog sound wave. The goal is to replicate the properties of an analog audio signal as closely as possible. Analog-to-PCM conversion is accomplished via a process called sampling. As mentioned above, analog sound moves in waves, as opposed to PCM, which is a series of ones and zeros. To capture analog sound using PCM, specific points on the sound wave coming from a microphone or other analog audio source must be sampled. The amount of the analog waveform that is sampled at a given point (referred to as bits) is also part of the process. More sampled points in combination with larger sections of a sound wave sampled at each point means more accuracy revealed on the listening end. For example, in CD audio, an analog waveform is sampled 44.1 thousand times per second (or 44.1kHz), with points that are 16 bits in size (bit depth). In other words, the digital audio standard for CD audio is 44.1 kHz/16 bits. PCM is used in CD, DVD, Blu-ray, and other digital audio applications. When used in surround-sound applications, it's often referred to as linear pulse code modulation (LPCM). By retaining the signal's digital form and sending it to a home theater receiver via a digital optical, digital coaxial, or HDMI connection. The home theater receiver then converts the PCM signal to analog so that the receiver can send the signal through the amplifiers and to the speakers. The PCM signal has to be converted to analog because the human ear hears analog audio signals. 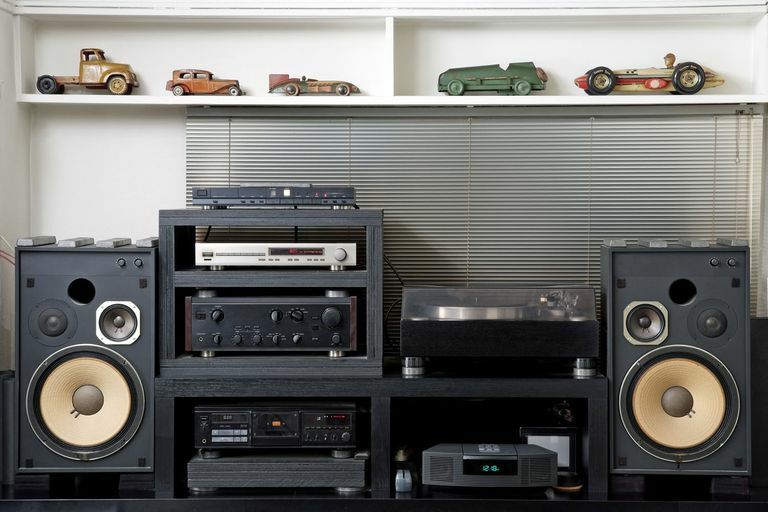 By converting the PCM signal back to analog form internally, and then transferring the re-created analog signal to a home theater or stereo receiver via standard analog audio connections. In this case, the stereo or home theater receiver does not have to perform any additional conversion for you to hear the sound. Most CD players provide only analog audio output connections, so the PCM signal on the disc must be converted to analog by the player internally. However, some CD players (as well as almost all DVD and Blu-ray disc players) can transfer the PCM audio signal directly, using the digital optical or digital coaxial connection option. In addition, most DVD and Blu-ray disc players can transfer PCM signals via an HDMI connection. Check your player and stereo or home theater receiver for your connection options. Another trick that most DVD and Blu-ray disc players can do is to read undecoded Dolby Digital or DTS audio signals. Dolby and DTS are digital audio formats that use coding to compress the information so that it fits all the surround-sound audio information digitally onto a DVD or Blu-ray disc. Usually, undecoded Dolby Digital and DTS audio files are transferred to a home theater receiver for further decoding to analog, but there's another option. Convert the PCM signal to analog for output via two or multichannel analog audio outputs to a home theater receiver that has the corresponding compatible inputs. Because a PCM signal is uncompressed, though, it takes up more bandwidth transmission space. As a result, if you're using a digital optical or coaxial connection from your DVD or Blu-ray disc player to a home theater receiver, there's only enough room to transfer two channels of PCM audio. That situation is fine for CD playback, but for Dolby Digital or DTS surround signals that have been converted to PCM, you need to use an HDMI connection for full surround-sound because it can transfer up to eight channels of PCM audio. For more on how PCM functions between a Blu-ray disc player and a home theater receiver, look into Blu-ray disc player audio settings: bitstream vs, PCM.